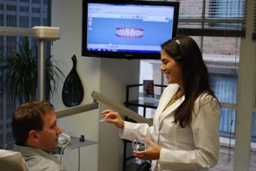 We’ve been providing our Midtown dental office clients with Invisalign® clear aligners for years. The treatment uses a series of clear, removable tooth molds to put light pressure on and straighten your teeth. Our Invisalign-certified dentists can effectively treat a wide variety of orthodontic cases in teens and adults without the use of metal brackets or wires. This method is a cutting-edge approach to teeth straightening that will have a minimal impact on your life but a significant impact on your smile. With clear, customized aligners, this method gradually straightens your smile in about the same time as braces. Unlike traditional braces, Invisalign® aligners can be removed for flossing and brushing teeth, eating chewy foods, or for special occasions. 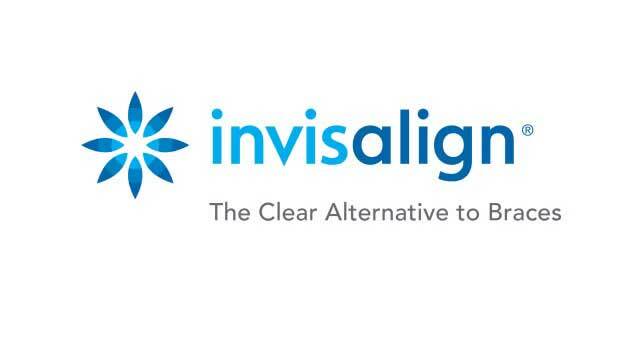 Click here to learn more about the difference between Traditional braces and Invisalign. When gums fit better around aligned teeth, there the risk of periodontal disease is reduced. By correcting your bite, Invisalign® can also improve chewing and speech ability, and can decrease the risk of trauma and abnormal wear on the supporting bone and jaw joints.